Marine Scotland has confirmed it is investigating reports of alleged illegal scallop dredging. Claims have been made of two incidents in the past month in an environmentally protected area near Loch Gairloch in Wester Ross. The area is closed to certain types of fishing, including scallop dredging. The Scottish White Fish Producers’ Association (SWFPA) said the vast majority of scallop fishing crews behaved responsibly and within the law. SWFPA chief executive Mike Park said he would condemn illegal fishing, adding that his organisation was calling for tracking technology to be made compulsory for all scallop boats. Previously, illegal dredging in protected areas has been blamed for damaging seabed habitats in the Firth of Lorn and Loch Carron. 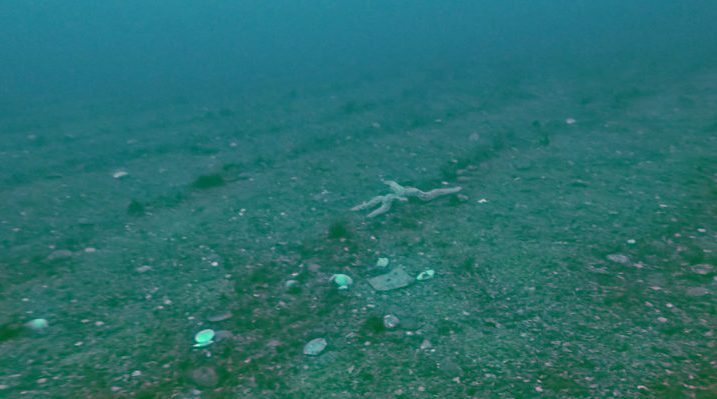 In the Firth of Lorn in Argyll, divers filmed broken shells, dislodged boulders and fresh scallop meat in February this year. Last year, damage to a rare reef in Loch Carron in the west Highlands was discovered. The discovery led to an emergency closure of the waters. Patricia Sturrock, an eyewitness to the latest alleged incident of illegal dredging near Gairloch, said she spotted the fishing boat close to shore. She said: “I could see it was so close that it must have been within the protected zone. Diver George Brown later made an examination of the seabed. He said: “As soon as I hit the bottom I saw these tram line marks. You can clearly see where the wheels of the scallop dredger has been rumbling across the seabed. Environmental group Open Seas said there was a need for leadership from those operating sustainably within the fishing industry, as well as from government, “to bring the rest of the industry up to their level”. The organisation’s Phil Taylor said the latest allegations underlined its calls for the movements of fishing boats to be tracked. The Scottish government said it was concerned about the reports, adding that illegal dredging was “unacceptable”. Marine Scotland, a directorate of the Scottish government, has begun an investigation. Mr Park, of the SWFPA, said: “The SWFPA was instrumental in calling for electronic monitoring on board scallop vessels above 15m. Mr Park said the SWFPA will be writing to Scottish ministers to call for “tougher legislation so that technology can be installed as soon as possible on board all scallop vessels”. This article was originally published as Probe into alleged scallop dredging in protected area at BBC News on 14/11/18. Read Open Seas’ statement on the incident.